Though we are not directly affiliated with the YMCA of the Rockies, we are fortunate to be able to use their Estes Park Center in Estes Park, Colorado for our Southeast Asian/Pacific Islander Heritage Camp! 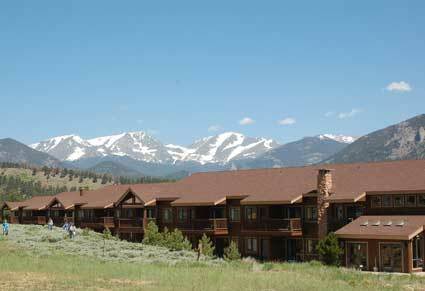 Like it’s sister location, Snow Mountain Ranch, the Estes Park Center is a family vacation destination in itself. Estes Park Center means different things to different people. The adventurous come for action and excitement and to explore miles of trails in the Rocky Mountains. Others choose to take one of our arts and crafts classes, spend quiet time on the deck of our library or enjoy quality entertainment. With more activities than anywhere else, most included free in your stay, everyone in your family will find something to do. Though each lodging package is individualized per family based on your choice, number in the family, etc., this year’s average lodging rate for a family of four is approximately $270 per night and includes breakfast and dinner. Culture-​specific lunches are served as part of Heritage Camp. Each lodge room sleeps anywhere from four to six people, and has a private bathrooms. There is no on-​site camping at the Estes Park Center, but there is much camping available very nearby in Rocky Mountain National Park, so if you are interested in camping, please contact them directly to make a reservation.